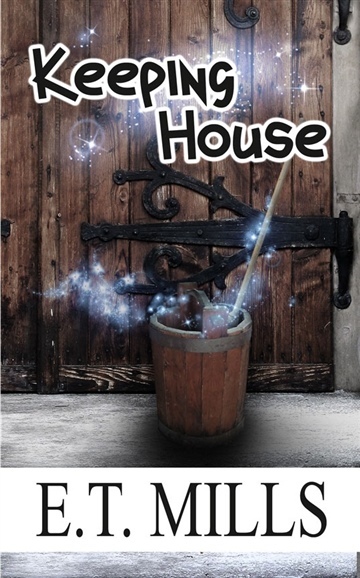 When Lady Evangeline Stoddard, Countess of Wibley, takes on a job as housekeeper for Wizard Winkle, she finds herself in a grumpy old house that's determined to give her as much trouble as possible. But she is determined to prove that she is capable of holding down a job—even if it kills her. E. T. Mills is the mother of two and as such often doubles as Jedi sidekick, head turtle keeper, a trampoline, and a sticker palette. She lived for fourteen years without chocolate but has long since been rehabilitated. She has lived in a variety of places from Alaska (the Chosen Land) to Arizona and London, and currently resides with her husband and children in Colorado. If she is ever filthy rich she will move to Scotland, eat fancy cheese, and shop at bookstores daily.